Silver Edition Phil Dwyer Tenor Saxophone Now Available. 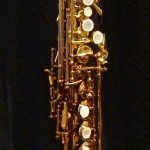 - SeaWind Musical Instruments Inc.SeaWind Musical Instruments Inc.
Home / SeaWind News / Silver Edition Phil Dwyer Tenor Saxophone Now Available. 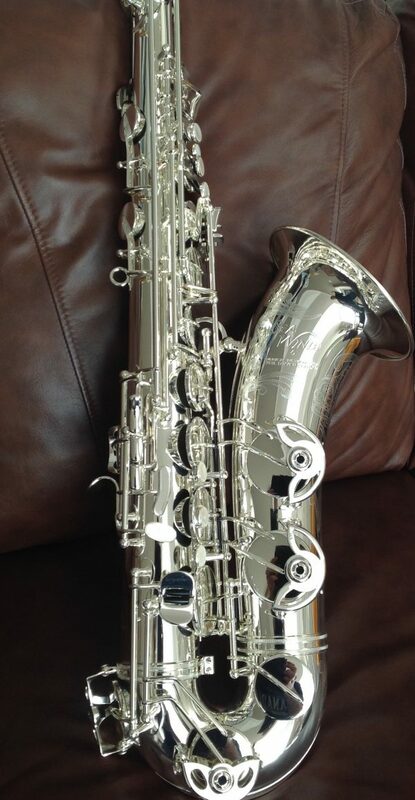 Silver Edition Phil Dwyer Tenor Saxophone Now Available. Absolutely gorgeous!! For those who have been asking, we have just a couple of limited edition silver plated Phil Dwyer tenor saxophones now available. These come with all the same features, black roo pads, stainless steel resonators, blue steel springs, and the custom engraving designed by Jeremy Humpherville. The Professional level Phil Dwyer Edition soprono saxophone is designed to give you everything you would want in a horn, and more. 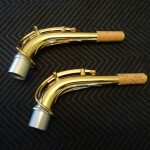 Proprietary alloy tenons (patent pending), allows for the saxophone to be more resonant and free blowing. Available in two sizes.